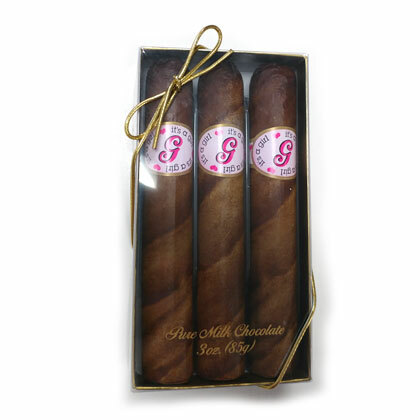 Tasty and realistic looking chocolate cigars. One box of 3 cigars. Cigars are approx. 5.25 inches long. Box is 5.5 inches by 3 by 1 inch. Made in USA. Kosher Dairy.